Please find below the ingredients list used to make these recipes. In a small bowl, whisk all ingredients together until thoroughly combined. Use a clean makeup brush to apply all over the face, avoiding the eye area. Keep on for 10 minutes, before removing entirely with a warm, damp face cloth. Glycolic acid is one of many alpha-hydroxy acids (AHA's) that can be derived from fruit, milk and plants high in natural sugar. Cane sugar is known to be one of the most effective exfoliators for your skin due to its powerful ability to dissolve the bonds that hold layers of skin cells together. 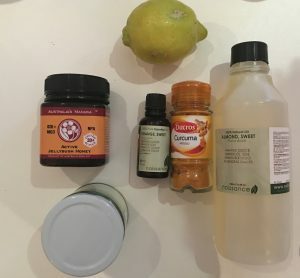 This mask is to be made fresh each time and can be applied once a week to begin with. Although this is a very mild glycolic acid peel, you will still need to apply a good quality SPF when outside in the sun. In a small bowl, combine all ingredients and stir together thoroughly. You should have a thick paste. Using a clean makeup brush, paint onto your face and neck and leave for up to 15 minutes before removing with a warm, damp facecloth. This mask is great for all skin types. It will not stain or colour your skin. Chickpea flour is high in antioxidants, gluten free and has long been used in Ayurvedic medicine as a skin lightener and brightener. It’s also highly absorbent, great for oily, acne-prone skin. Turmeric is anti-inflammatory, antibacterial and very healing for the body (both inside and out). It has been used for thousands of years to heal wounds and treat various types of skin conditions and inflammation. It can also help to lift bruising. Manuka honey is a medicinal form of honey that can be purchased according to grades. For more information, see here and here. When combined with turmeric, it can supercharge the healing of cuts and wounds and reduce the appearance of scarring. Almond oil helps to calm skin irritation and redness. It also nourishes the skin by soothing and alleviating irritation. Lemon juice is cleansing, is highly alkaline to the body and encourages collagen production. This mask is to be made fresh each time and can be applied up to 4 times a week. Combine all ingredients together and whisk/stir vigorously. Use a small funnel to pour into a sterilised glass bottle with a lid. Using 2-3 pea sized amounts, warm oil with (clean) hands/fingers first before massaging onto the skin. Wash off with a warm, wet facecloth. Hold washcloth over your face for a few seconds before wiping away. Follow with your usual skincare routine before bed, however, experiment with not adding more moisturiser afterwards, as these oils are deeply nourishing and supportive for your skin. Store in a dark-coloured bottle for optimal freshness. If kept out of direct heat/sunlight and in a cool place, this oil will last up to 6 months. This oil can be used whenever you need to remove makeup or sunscreen – it will remove all kinds of hard-to-remove makeup including waterproof mascara, foundation and lipstick. Use a small funnel to pour the oil into a sterilised glass bottle with a lid. Use 1-2 pea sized amounts, massage onto the skin. Allow oils to absorb into your skin before applying primer and foundation on top. Keep out of direct heat/sunlight. Store in a dark-coloured bottle for optimal freshness. If kept out of direct heat/sunlight, this oil will last up to 6 months. Can be used whenever you need to remove makeup or sunscreen. Made 2 different colour ways using the following cream recipe as a base, then mixed with different pearlescent colour pigments from Aromantic. For the pale shimmer: Danielle used Pearlescent Silk White + Pearlescent Gold. For the dark bronzer: Used 3 tablespoons of organic cacao powder + Pearlescent Bronze, Pearlescent Beige, Pearlescent Gold. Have fun mixing your own colours! In a double boiler, melt and combine shea butter, coconut oil, beeswax, jojoba and Vitamin E oil. 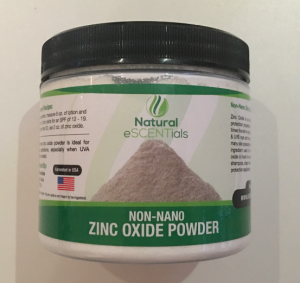 Cover your mouth and nose with a scarf or mask before carefully adding the non-nano zinc powder. Whisk to combine well, then place in the fridge for 5-8 minutes to cool and slightly thicken. When the mix resembles a thickened yoghurt texture, remove from the fridge and add in remaining ingredients. Whisk or blend the mix in a food processor until you reach a creamy, smooth texture. Pour into sterilised, dark glass jars with airtight lids and store in a cool area, away from direct sunlight. This cream will last up to 6 months if stored out of direct sunlight in a cool place. Note: if using cacao powder, the cream is best stored in the fridge during summer months. 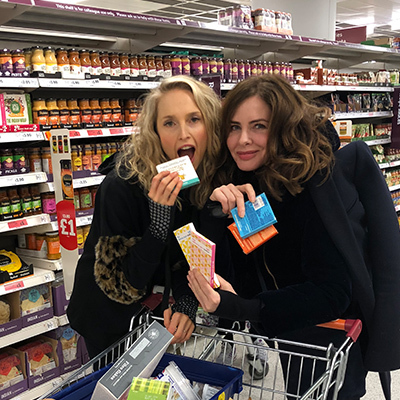 For more information about why Danielle chooses to use non nano zinc oxide in this cream, please see here and here to learn more about the potentially harmful effects of nanoparticles (often used in conventional sunscreen and some makeup products). For more information about natural SPFs in oils, see here, here and here. This cream also works well as a simple nourishing, hydrating face and body cream without the non-nano zinc oxide powder. USA - Whole Foods, Westerly Market, Trader Joe’s. 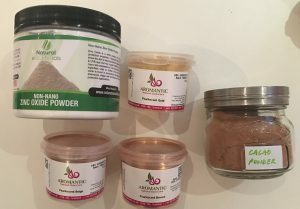 The natural, non-toxic cosmetic colours (used in the SPF creams) were purchased from Aromantic who ship internationally and offer natural skincare courses in the UK. Their facebook page is here. The SPF non-nano zinc oxide powder was purchased from Amazon. The Amber glass jars , makeup brushes were purchased from Amazon. All recipes below are suitable for all skin types, though it’s advisable to patch test all new skincare products before using. If you live in the U.S: Dr Will Cole (who consults via skype as well as face to face). Will has many patients all around the world and shares a lot of helpful information on his facebook and Instagram page. He also has a book coming out. Dr Aviva Romm is also another great US-based doctor who specializes in ( and has written a book about) thyroid health. Dr Kelly Brogan is another fantastic doctor with years of experience focusing on mental health. She too has released a very helpful book. Combine all ingredients (except coating) in a food processor. Blend on high until the mix forms a chunky paste that sticks together when you press it between your fingers. With clean hands, shape mixture into balls. Roll in the desiccated coconut to coat, place on a plate/in an airtight container and pop in the fridge to harden. Store in the fridge for up to 3 weeks, or longer in the freezer. With clean hands, shape mixture into balls. Roll in the ground flaxseed to coat, place on a plate/in an airtight container and pop in the fridge to harden. 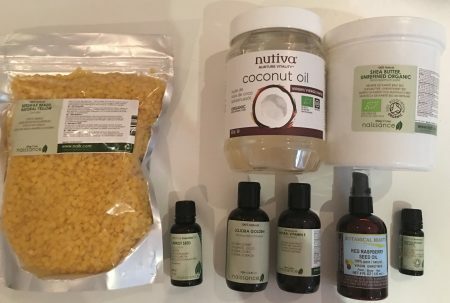 Makes 3/4 cup - about 8 face masks. Combine kaolin and bentonite clays in a glass mixing bowl and add the activated charcoal and essential oils. Stir with a plastic or wooden spoon until everything is well combined before transferring to a glass or plastic container with a lid. To use, combine about 1.5 teaspoons of the dry mask with 1 teaspoon of water. Mix into a wet paste with a makeup brush. Brush onto the skinand leave for up to 15 minutes for a deep, detoxifying cleanse. Rinse with a face cloth soaked in warm water, and leave for 10 minutes before following on with your normal skincare routine - note, your face may turn red which indicates good blood flow and toxin release. 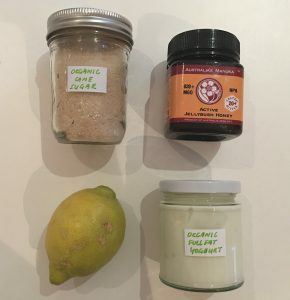 Store your dry mask mix in an airtight glass container out of direct sunlight for at least 6 months. It is important to ensure you measure all clays with non-metal measuring cups, as well as mixing them with non-metal utencils and storing them in glass, ceramic or plastic containers/jars. This is because the clay absorbs metals from everything it comes into contacts with, so measuring, storing and storing in metal will make it less effective. Kaolin clay is one of the finest, most gentle silica-based clays that effectively absorbs oils and removes toxins without over-drying your skin. Trace minerals in kaolin clay work to reduce fine lines and wrinkles by exfoliating and eliminating dead skin layers. It is rich in potassium, titanium, and silicon – all natural chemical elements that support the formation of collagen. Bentonite is a clay mined from the earth after being formed by volcanic ash. It has a strong negative electromagnetic charge, so when re-activated by water, it acts like a magnet in and on our bodies, pulling all kinds of heavy metals and toxins out and onto the surface which can then be safely washed away. Bentonite clay helps to remove dead skin, reduce oil and – when a specific type of bentonite clay is taken internally - it can help detox the body and restore pH levels. If you’ve never taken it internally and want to try this, please be warned: it may cause constipation issues if you do not significantly increase your water intake before, during and after ingesting. Please refer to external resources for more information about this before experimenting beyond this mask. Activated Charcoal is a very potent, natural product used to trap toxins and chemicals in the body – both inside and out! For over 10,000 years, Chinese Medicine, Ayuredic Medicine, and Western Medicine practitioners have used activated charcoal to soak up poisons and improve intestinal health. Beyond its common use in hospitals as an antidote for drugs and poisons, activated charcoal is a global remedy for general detoxification, digestion issues, gas, bloating, heart health, and anti-aging. When using it in skincare, it binds with environmental toxins and dirt that cause acne. 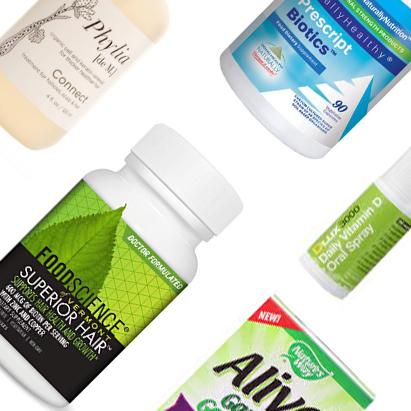 It’s important to select activated charcoal made from coconut shells or other natural sources (I recommend this brand in Australia, this brand in the UK and this brand in the US). Oats are incredibly soothing to the skin, great for alleviating acne issues by gently cleansing and removing remove pollutant dirt and oils. Oats possess a wealth of anti-inflammatory properties that make them a fantastic ingredient in this mask. They’re also great to use in skincare when treating dry skin and conditions like eczema and psoriasis. Please sure to patch test this mask before painting on to your entire face – especially if adding in your own essential oil blend. 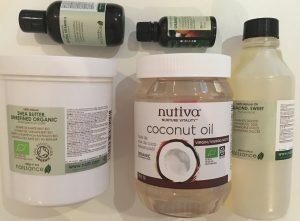 A note about essential oils – when using in skincare, please ensure your oils are of the highest - organic is best, please see notes below about the organic oils I recommend. Enjoy Ladies.. for any questions please comment below!